The really unexplained thing about the Modi-Irani kerfuffle over fake news is that it was Modi, none other, who over-ruled his Minister of Information & Broadcasting, emerging as the knight in shining armour slaying the dragon breathing fire against freedom of expression. 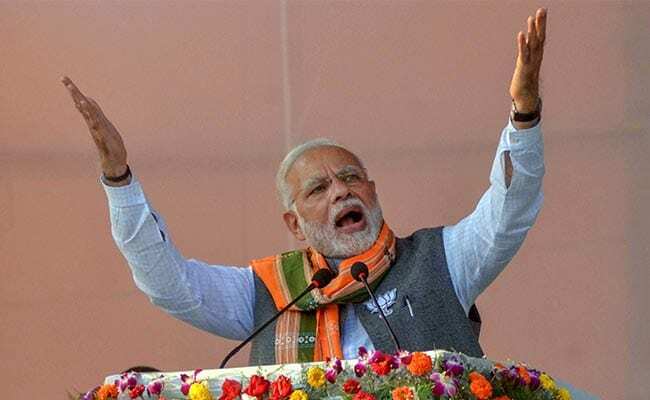 Has Modi suddenly become our democracy's last beacon of hope? I yield to none in acknowledging Narendra Modi's expertise in fake news. For surely no one in our contemporary politics has propagated and profited more from fake news than Modi has. Three incidents involving me would help me rest my case. In December 2017, with the election campaign in Gujarat in full cry, he got the golden opportunity to turn a losing election battle in his home state into a marginal victory by uninhibited resort to fake news. First, when I used the expression "neech kisam ka aadmi" (a low kind of person) about him, within seconds he distorted it from a public platform to proclaim - quite falsely - that I had described him as belonging to a "neech jaati" (lower caste). I had said no such thing. I would never have said any such thing. But with Goebbelsian genius, he told that the lie often enough for even my own party to take it to be the truth. 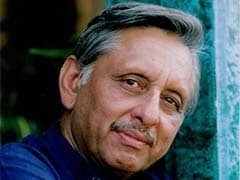 Hard on the heels of that came the bizarre story, propagated by Modi himself from election platforms, that I had invited the Pakistan High Commissioner and a former Foreign Minister of Pakistan to my home to hatch a conspiracy to foist Ahmed Patel as Chief Minister of Gujarat - a totally bogus tissue of untruths. He had the gall to further embellish the fake news by implicating my other guests, who included a former Prime Minister, a former Vice-President, a former Chief of Army Staff, a former Minister of External Affairs, a number of our most distinguished diplomats, and a clutch of highly-respected professional journalists, in this totally weird and utterly false conspiracy theory. Indeed, he went so far as to claim that I had gone to Pakistan to take out a "supari" on him. Rubbish, sickening rubbish. Yet, the man gets away with it. In January 2014, on the eve of the general elections, a TV agency put a few questions to me about Modi at the on-going plenary session of the All-India Congress Committee. My comments became "breaking news" as I was alleged to have called him a "chaiwallah". The clip is still on YouTube. You are welcome to see it. I never used the word "chaiwallah". I never said a chaiwallah could not become PM. I did indeed say I thought Modi unfit for the job and that, therefore, he would "never, never" be PM. I was wrong on that. He did become PM. The one person who did say he had been a chaiwallah was not me but Modi himself! I have never believed that to be true. So I ended my interview with a jibe that if, after losing the coming election, he wanted to resume life as a tea-vendor, we might be able to make some arrangement for him. A joke - you might not like the joke, you might even find it in poor taste - but the fact is that Modi has never really been a chaiwallah: this is yet another example of Modi-style fake news. (The Vadnagar railway station at which he claimed to have sold tea was not even built till 1973, when he was 23!) But over the last four years, I have been the target of vicious calumny for allegedly saying what he said I had, and pilloried for what I never said. And all because Modi and his cohort are the most effective manufacturers and purveyors of fake news that this country has ever seen. 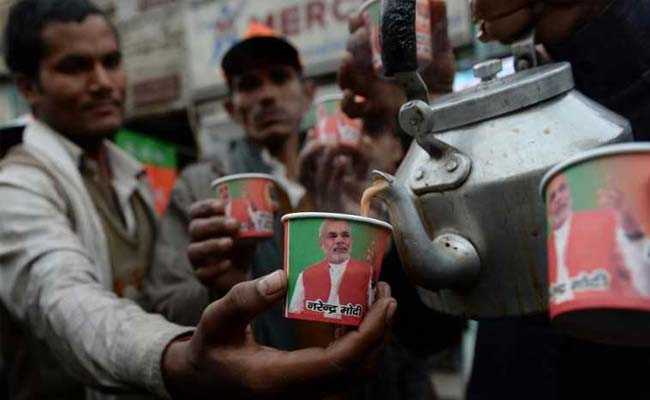 Seizing the opportunity to claim I had said what I never had, he started a series of "chai pe charcha" sessions with holograms of himself at tea-shops that was hailed as a brilliant example of technology-driven instant political management. Rajdeep Sardesai went so far as to suggest that I should have been the recipient of a "thank you" note from Modi for his election victory. Perhaps. But nothing was more "fake" than attributing to me what I never said and then going to town with that lie. Of course, he found in sections of the media willing collaborators to spread the canard. But the primary propagator of that bit of fake news was none other than the man who was to go on to score a dramatic upset victory at the polls. Mussolini would have been proud. Why then is this master generator and propagator of fake news transmogrifying into a champion of letting everyone have his or her own democratic say? For fear, I suspect, of getting caught out and becoming a victim of Irani's circulars! That this hypothesis is not quite as far-fetched as it might appear at first sight is shown by what has happened to Modi-Shah's discovery, in 2013-14, of the electoral potential of social media. Well before any of the other parties lumbered into spotting the mass reach of social media, the Modi team ratcheted up the technology to spread its enticing, if wholly false, tale of "achhe din" and 15 lakhs in every pocket to befool the public into giving Modi his startling mandate. Indeed, even opposition parties, including the Congress, were so impressed by these hijinks that they in turn hired (for a while) the same instrument of propaganda that had brought Modi to high office. But communications technology, like any weapon of war, can be turned into the very instrument of the first user's own destruction. So, as political parties, and, far more importantly, the common garden or average netizen, began realizing that the Prime Minister and his cohort had no monopoly over social media, they started using the same technology to take down and mock Modi and his government. The jokes circulating now on a daily basis in their hundreds are no more about "Pappu" but principally about Modi and his Sancho Panza. (My current favourite is that things are in such a mess, it should be called the "Modi Gobarment"!) The first users of social media to spread fake news now find themselves hoist with their own petard. The world is now sneering at them. So, if the Irani circular had been allowed to prevail, the principal instrument of Modi's electoral appeal - lies, their manufacture and dissemination - is, after four years of jumlas, jugaad, incumbency and failure to deliver, being turned on the originator. Modi, therefore, wary of saving what remains of his political skin, turned Irani into his scapegoat after first, in all probability, putting Irani up to her tricks (for not a leaf moves in this dispensation but with the nod of He Himself). I am, of course, guessing but I can think of no other convincing reason for Modi abandoning his protégé the instant matters began turning sour. And things have turned sour. Alwar, Ajmer, Gorakhpur and Phulpur show that the game's over. In a year from now - perhaps sooner - the legacy he leaves behind will be a trail of falsehoods marking the first time an Indian Prime Minister has turned his high office into an unending flowing stream of fake news.